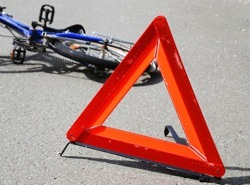 Bicycle Accidents | Nashville Bike Injury Lawyers The Law Offices of John Day, P.C. Bicycles are more popular than ever. They offer an excellent form of exercise as well as an alternative and greener form of transportation, but negligent motorists, defective equipment or poor road conditions can cause tragic bicycle accidents. According to the National Highway Safety Transportation statistics, there were 9 fatal bicycle accidents in the State of Tennessee in 2009 and 4 fatalities in 2010 (2011 numbers have not yet been released). And another 52,000 bicyclists were injured nationwide in 2010. If you or a loved one has been injured in a bicycle accident due to someone's carelessness, our experienced team of bicycle accident attorneys will help you hold the negligent parties responsible regardless of whether the injury was caused by an inattentive motorist, a defective bicycle helmet, a defective bicycle or some other way. For more than 80 years, we have dedicated ourselves to helping injury victims. Our hard work and commitment has resulted in us recovering more than $100 million dollars for our clients. Our lawyers have also been recognized by other lawyers -- earning Super Lawyers awards and Martindale-Hubbell AV Preeminent ratings. If you or someone you love has been the victim of a bicycle accident, you need our experienced and dedicated bicycle accident attorneys on your side. An early and thorough investigation can tip the scales in your favor. As time passes, physical evidence can disappear and witnesses' memories can fade so it is critical to gather all relevant investigative materials as soon as possible after the accident. In bicycle accidents, that may mean riding the scene of the accident on a bicycle and in a car so that we can fully understand how the accident occurred. It may also mean interviewing witnesses and investigating police officers regarding their recollections and findings. Depending upon the case, we may also photograph the accident scene, hire accident reconstruction and engineering experts, obtain the police report, gather information on prior accidents and more. To make sure you receive all the compensation you deserve, we will gather all of your medical and pharmacy records to help prove the nature and extent of your injuries. In appropriate cases, we will also hire doctors, economists, therapists, life care planners and other experts to help prove your case. We have a nurse on staff who can assist with medical questions and issues. So that you can concentrate on recovering from the accident, we will deal with the at-fault party's insurance company. The paperwork, phone calls and negotiations can be a real headache, but we know how to handle them. And, if they fail to make you a fair offer, we are not afraid to take them to court. For more information on the work we will do for you, click here. Call us any time of day at 615-742-4880 or toll-free at 866.812.8787 or contact us online. We will thoroughly review and evaluate your case during a free, no-obligation consultation. If your injuries prevent you from coming to our office, we will gladly come to your home or the hospital. We handle all bicycle accident cases on a contingency basis, which means we only get paid if we recover money for you. And, we advance all case expenses so you do not have to pay a penny to pursue your rights. For more details on fees and expenses, click here. For more information on different types of bicycle accidents, please review the additional information above.